Callagy Automotive & Smog welcomes you to our website. Callagy Automotive & Smog is well known and respected for our auto repair services. Each staff member and mechanic in our Santa Rosa auto repair shop takes pride in the excellent reputation we are fortunate to have developed with both our customers and the entire Santa Rosa and Sonoma County area. Our shop is grateful that our customers repeatedly choose us for their auto repair and service needs and frequently send their friends and family to our Santa Rosa shop for their auto repair and service needs as well. Each expert mechanic on our team understands that the very thought of getting an automobile repaired can make most people nervous. For those who are not savvy about auto repair or are uncertain whether or not the correct repairs are being performed on your automobile our Santa Rosa auto repair shop is the perfect place for you because of the following reasons. Callagy Automotive & Smog pledges to all of our Santa Rosa and Sonoma County customers that we will not remove any part from a vehicle in order to complete an auto repair unless it is absolutely necessary. Additionally our Santa Rosa auto repair shop promises to diagnose all auto repair problems in an honest and professional manner. Each mechanic and staff member in our shop strives to provide prompt and courteous service to all who visit our auto repair facility in the hope that you will come back to us for all of your auto repair needs. Callagy Automotive is proud to included with the following auto repair companies. Callagy Automotive & Smog invites you to take advantage of our easy 24/7 online scheduling! Simply complete and submit the appointment form to schedule your repair. Callagy Automotive & Smog offers our customers in the Santa Rosa area nationwide protection. Our warranties are among the best in the automotive repair industry. Callagy Automotive & Smog is always interested in hearing from qualified individuals seeking employment at our Santa Rosa automotive repair shop. If you are interested in joining the Callagy Automotive & Smog team we want to hear from you. Callagy Automotive & Smog understands how important it is to find a quality automotive repair shop in the Santa Rosa area. This is why we value the associations we have with the reputable organizations listed below. These associations help our auto repair shop in Santa Rosa to give you the confidence in knowing that your automotive repair and service needs will be met by our qualified automotive repair and service expert technicians. 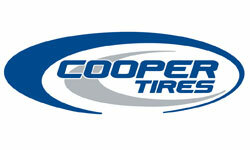 Santa Rosa is proud to be a certified Cooper tire dealer. We offer a complete range of tires for both cars and trucks at competitive prices. 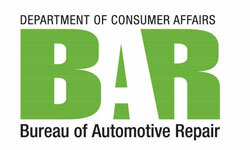 The Bureau of Automotive Repair (BAR) is part of the California Department of Consumer Affairs. BAR has statutory oversight responsibilities for several statewide licensing programs, including the Smog Check and the Lamp and Brake Certification programs. BAR licenses and regulates more than 35,000 California automotive repair dealers, nearly 2,000 lamp and brake stations, more than 7,500 Smog Check stations, nearly 4,000 lamp and brake technicians, and more than 16,000 Smog Check technicians. As a NAPA AutoCare center serving the greater Santa Rosa area, the team of automotive repair professionals at Callagy Automotive & Smog know the key to keeping your car or truck running smoothly on the roads is regular maintenance. Our team also knows that people in our community should not be required to forgo trust and the peace of mind when locating a great and affordable automotive repair shop like here at Callagy Automotive & Smog. Our decision to be a Napa AutoCare Center is built around our commitment to providing our customers service that is based on integrity, our qualifications, and our expertise when it comes to repairing cars and trucks, both foreign and domestic. It does not matter if you need routine maintenance or a major repair, each and every time you bring your vehicle to Callagy Automotive & Smog for a repair or service we have you covered. Our team of ASE Certified technicians often use the best NAPA auto parts when providing an exceptional levels of service. This is how Callagy Automotive & Smog ensures you get the most excpetional service each and every time. Our designation as an NAPA AutoCare Center also enables us to give our customers a 12 month, 12,000 mile Nationwide Peace of Mind Warranty.